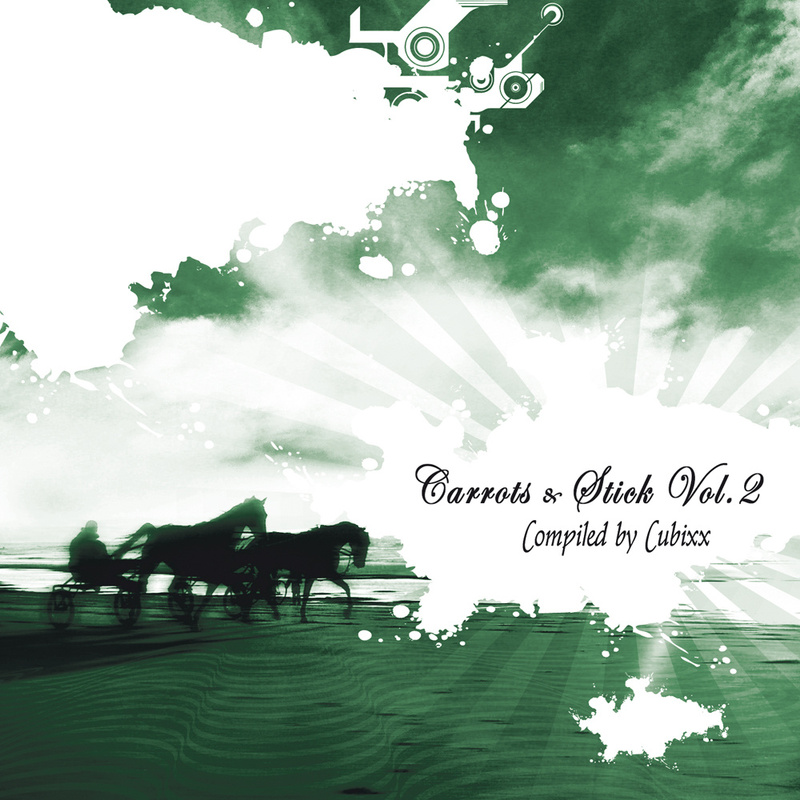 Our story began 3 years ago, as the first episode of Carrots and Stick was released and compiled by Cubixx aka Matthias Sperlich. Most of the heroes from the first story have moved on to different plots, however a sequel was in need in order to preserve the magical flavor of the first edition. Therefore new heroes had to be summoned by the grand magician Cubixx, only this time they multiplied, so the new version had to be divided to 2 parts. The first part contains a superb collective of combined supreme talent such as Motion Drive, Invisible Reality, E-Clip, Time in Motion, Egorythmia, Funky Dragon, Side Effects, Helber Gun and Sonic Entity. They have prepared the surface and spiced the atmosphere each with his own special ingredient. But just when your appetite starts to accelerate you realize that, hey, there is another main course, and it is just as tasty. The second part introduces a whole new set of high scale masters who arouse your glands and stir up any sense of logical sensation you used to have. This crew contains maestros such as Timeless, Osher, Cymbalta, SpaceHypnose vs. Static Movement, Impact, Optiloop, Invisible Reality, Lish and Mindwave. After all, Cubixx‘s new composition was carefully collected from the finest crops. Therefore,you must realize by now that the only option left for you is to surrender to this indescribable bliss, and stop trying to comprehend Carrots and Stick vol. 2 through words. Just listen and the rest will follow.